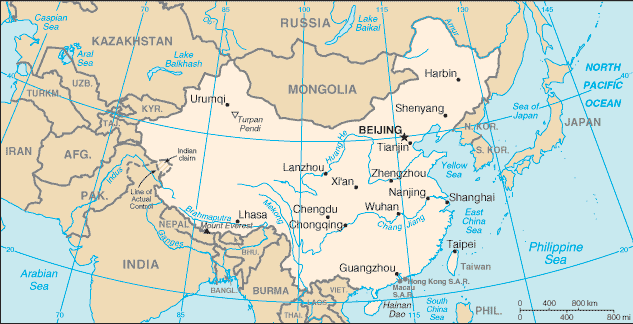 An international group of expert scientists, doctors and public health officials has reported that cases of meningococcal group B meningitis and septicemia (MenB) are increasing in China, and have recommended that an effective MenB vaccination strategy should be in place in preparation for a potential outbreak of the disease. There are several different types of bacteria that cause meningococcal disease. Meningococcal A, B, C, W, X and Y account for the majority of all cases worldwide. Published in the Journal of Infection, the expert group known as the Global Meningococcal Initiative (GMI), report that the types of meningococcal disease affecting people in China is changing. Rates of MenA have significantly declined following the introduction of the MenA polysaccharide vaccine in the 1980s, however there is the emergence of new clones of MenB and MenC and a new threat is the international spread of a particularly deadly strain of MenW. Currently MenB is the most prevalent cause of meningococcal disease globally, and cases of MenB have been increasing in China since 2011, with the majority of recorded cases in babies under one year of age. The vaccination policy in China is currently under review. Polysaccharide vaccines provide direct protection to vaccinated individuals, but conjugate vaccines have the additional benefit of stopping vaccinated individuals from carrying and spreading the meningococcal bacteria to others. In China, no conjugate vaccines to prevent meningococcal disease are available free as part of the vaccination schedule, but the experts recommend that they be considered because they could help stop spread of the bacteria and protect more of the population – a strategy that has been successful in other countries including the UK. Professor Ray Borrow, GMI Steering Group Member said, “Historically, China has been prone to outbreaks of meningococcal disease. The increase of MenB in China is a concern, and it would be advantageous for there to be a MenB vaccine available free to groups at highest risk of the disease. While that might take time to implement, we recommend a vaccination strategy be put in place in the event that an outbreak of MenB occurs. Not all hospitals in China have the capacity to diagnose the disease with laboratory tests, therefore it is likely that there are more cases of meningitis and septicaemia than are currently reported. The experts note that improved disease surveillance and standardised laboratory techniques across the country are needed.